Charles Samaha is a highly reputable attorney licensed in the state of Florida since 1989. His vast experience has included many areas in civil and criminal matters filed in state, administrative, and federal courts. Also, he has handled matters in all courts including small claims courts and as high up as the U.S. Supreme Court, and the courts in between. He also has extensive quasi-judicial experience and provides community service. 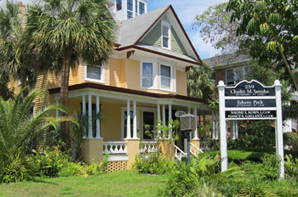 Since childhood, Charles has resided and maintained his roots in St. Petersburg. He welcomes your calls and will make every effort to learn about your needs and provide you with friendly customer service. Email or call Charles Samaha at (727) 821-0026 for a free consultation. Legal information is not legal advice. Nothing here should be considered legal advice. If you have specific questions for Charles Samaha contact him for a consultation about your case.